image found on pinterest- source unknown. ahh this is so relevant this morning. and for so many reasons! reminds me of a conversation i had over the weekend with a father on a coffee date with his little girl about why "being shy is not good" - he said that you miss out on so many opportunities. i agree with his statement, however, being shy can be really magical at times. knowing when to keep to yourself and when to interact with others is really an art to be mastered. i prefer to keep to myself on most days, but on this day i was happy to say hello. 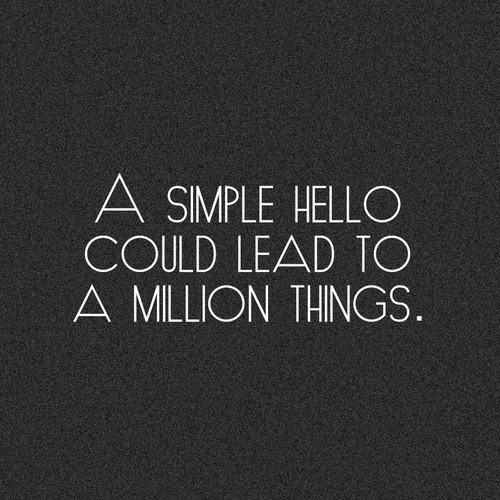 you really never know what can come after a simple hello.